Here’s the good news: If you’ve put off refinancing you’re home, you’re not too late. Even with recent hikes, interest rates remain at historically low levels. So there’s still time to squeeze in a refinance before rates spike. You can potentially put hundreds of extra dollars in your pocket each month. But here’s the bad news: Although refinancing can be a smart way to lower your monthly mortgage payments, not all refinance deals are good ones. There’s more to a refinance than simply calling up your current lender and sending in some paperwork. It’s easy to fall victim to some common pitfalls. Let’s take a look at the ways you can avoid a refinance rip-off. So you’ve been lured in by those radio ads that promise to save you hundreds when you refinance your mortgage. They’re enticing, we know. But keep in mind those advertised rates are usually based on the best-possible scenario—you know, if your financials are in tip-top shape and you have a superior credit score. 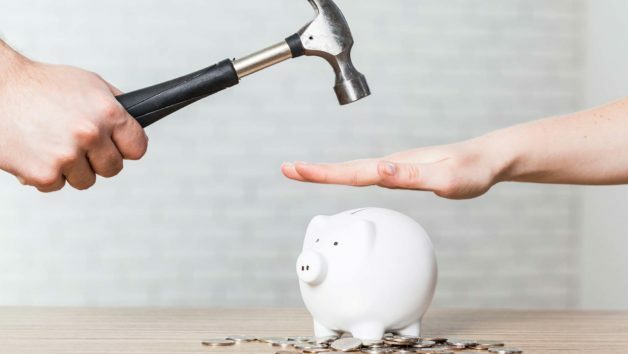 If you want to avoid some jaw-dropping surprises when you refinance, make sure to do your homework on what your interest rate would be specific to your financial situation, according to Tania Guzman, branch manager for New American Funding in El Paso, TX. And getting the various quotes may make for a long day: Because rates fluctuate frequently, it’s important to try to gather all your quotes on the same day and around the same time to make sure you’re comparing apples to apples. We’re not saying it’ll be easy. But you’ll be able to rest easier knowing you got the best possible rate. Unless you’re hopelessly devoted to your current lender, there’s no reason not to shop around a little the second time around—even if you ran the comparisons when you first got your mortgage. Customers who received two or more quotes have a higher satisfaction rating—844—than the 825 score of those who got just one, according to J.D. Power’s annual Mortgage Origination Satisfaction Study, which included refinancing. When you’re shopping lenders, make sure to factor in how much you’ll pay for account commissions and transaction fees, also known as “nonrecurring closing costs.” This includes the lender’s fee for processing and underwriting, credit reports, title fees, origination fees, and others. Even though you might have scored a fantastic rate, some lenders add “junk fees” to pad your closing costs and increase their return. If something seems extraneous, be sure to ask if it’s negotiable. “Make sure you question and compare these fees on each lender’s loan estimate, because they can end up being a major consideration in whether the refinance makes financial sense,” Guzman says. Having a clear picture of all the costs associated with a refinance can help you determine the break-even point—that is, how long it will take for the mortgage refinance to pay for itself. You’ll want to calculate the total sum of your closing costs and divide that by the monthly savings. Refinance for no closing costs? Sign us up, right? Not so fast. Remember: There’s no such thing as a free lunch, a free mortgage, or a free refi. There are always costs to refinance your loan, so a “no-cost” loan just means the lender is hiding those costs in a different place—for example, with a higher interest rate. That means you’ll be paying more over the course of the loan, rather than just taking the bite now. The only way to truly gauge the entire cost of a refinance is to do the math and figure out exactly how much you will be paying on a monthly basis and over the life of the loan. While you might be inclined to think a 30-year fixed mortgage is the safest bet when refinancing, it’s key to explore different loan options with your lender—it could save you some big bucks. “Borrowers should tell lenders their goals and ask lenders to explain the merits of each option and advise them on what’s right for them,” says Craig Martin, director of the mortgage practice at J.D. Power. You might find that a 15-year fixed loan better suits your needs now. Or if you don’t plan on staying in your current home much longer, an adjustable-rate mortgage can be a good bet, since it starts with a lower interest rate for a set period of time before it ramps up. That means that if you’re planning on staying in your house for only three more years, you’re benefiting from the lower payment and interest rate until you move out. While you’re shopping for a refinance, you’re likely to be focused primarily on costs. However, rate and fees alone aren’t all that play into a good refinancing experience. “That isn’t to say that customers shouldn’t research and price compare vigilantly, but if that is your sole priority, there is a risk the experience will not be as satisfying,” Martin says. Why does it need to be a “satisfying” experience? Although the refinance process may last only a month or two, consider this: You’re potentially in a relationship with the lender for 30 years. If you need to call the lender with an issue down the road, you want to feel confident it’ll be responsive and attentive to keeping money in your pocket. So before you commit to a lender for your refinance, consider whether the lender answered your questions thoroughly, responded to you promptly, and explained all of the refinance options that could be right for you. Skype has established its internet-structured client beta for the entire world, soon after introducing it broadly from the U.S.
and You.K. before this 30 days. Skype for Website also now facilitates Chromebook and Linux for immediate text messaging communication (no video and voice but, those require a plug-in installment).